With so much competition between collision centers, it may seem daunting attempting to carve out your own niche in your field. Often your business is riding the razor's edge of profitability and the difference between a month in the black or the red can be a couple of clients. 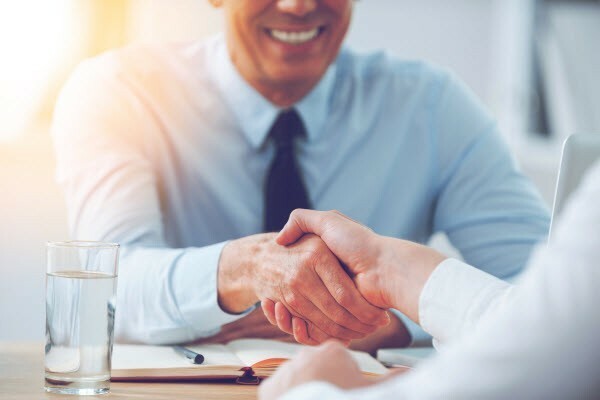 Partnering with an insurance agency is one way of acquiring a steady stream of business, but often the process of submission and approval can prove daunting. It may take a little time and effort, but in the end joining an insurance provider's direct repair program (DRP) may make a huge impact on your shop's success. Here is a brief overview of the process and some tips help you navigate the sometimes murky waters. Make a list of potential DRP partners and determine exactly what their needs and qualifications are for consideration. Do they require your shop to be ASE certified? Have I-CAR or I-CAR Gold? That information can be obtained in one of two places. First try to navigate through their website. Most insurance providers have a link somewhere on their page for their DRP, but some companies may refer to it as something else, such as a preferred partner program. If there is no available information online, try contacting an adjuster from the provider and simply ask about the submission process. Chances are they'll be able to point you in the right direction. Some insurance providers make this easier than others. At best, there is a form you can fill out through their website. If that is not available, you may have to make your own to submit. Be sure to include your current certifications and a list of your shop's major equipment. Upon hearing back from a DRP representative, you can speak a little more about their needs and your credentials. If you're fortunate, you may find that the two fit. Nothing beats a meeting in person. There you can present your shop in the best possible light and ask any questions of one another that can move negotiations forward. The main goal at this point is to get the representative to commit to sending someone to your shop for an inspection. At that point, you'll know if they're seriously considering adding you to their DRP. If they're evasive about a date, you may want to keep looking. This stage is one of the last hurdles, but it has the highest potential for disaster. Be prepared for them to arrive early or unexpectedly. When they do arrive, give them the grand tour and really focus on the areas that demonstrate value to their company. If you have any specialized equipment, show that off as well and have them meet a few of your employees, especially if they have pertinent certifications. If possible, put together a presentation showcasing important information such as customer reviews and average repair times. Assuming everything went well with the inspection, the next step is usually the contract. While your first instinct may be to sign immediately, take the time necessary to go over everything line by line. It would also be a good idea to take it to a lawyer who specializes in contract law. If everything is amenable to both parties, it's then time to sign. Once the deal is struck, you'll begin reaping the benefits the partnership. Just remember to maintain your obligations to the letter and hopefully everything should prove to be mutually beneficial. With a consistent stream of revenue, your shop's future will be far more stable. I will always bring my stuff to you guys. I have never been disappointed in your work. You have fixed 3 vehicles fo r me now and it's always been amazing work. I will recommend you for all my friends and family as well. Thanks again on a job well done!